Krighsu’ is ten tracks of unrelenting tech-death, set at a warp speed that has no intention of ever slowing down. Space is infinite, and it seems WORMED’s ability to create jaw-breakingly heavy music is just as vast. 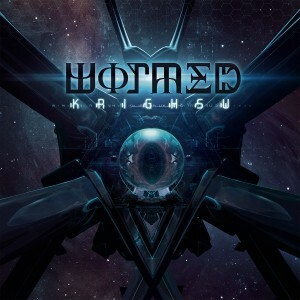 Anyway, I reviewed an album by Spanish tech-metallers WORMED that was entitled ‘Exodromos’. And it was a crushing, 2001: A Space Odyssey-esque obelisk of death metal that fairly slammed down upon me with terrifying force. Three years later, and I get to review their third album. ‘Krighsu’ was released in March of this year through Season of Mist, and takes you, the listener, on a journey into the deepest, darkest realms of sonic space. My advice is to prepare your body for the void, and jettison any lingering doubts about keeping your sanity. If it is gravity-distorting riffs and punishing vocals you’re after, you’ve found it. Let’s talk a little bit about these vocals. Seriously, Phlegeton the singer can’t be human. He just can’t. More likely than not he’s actually the embodiment of the rumblings of dark, distant stars, his insidious utterances mounted upon the most irradiated music ever to defile a set of speakers. If this music were a sci-fi film, it would be ‘Alien’ as directed by Eli Roth on a particularly angry day. 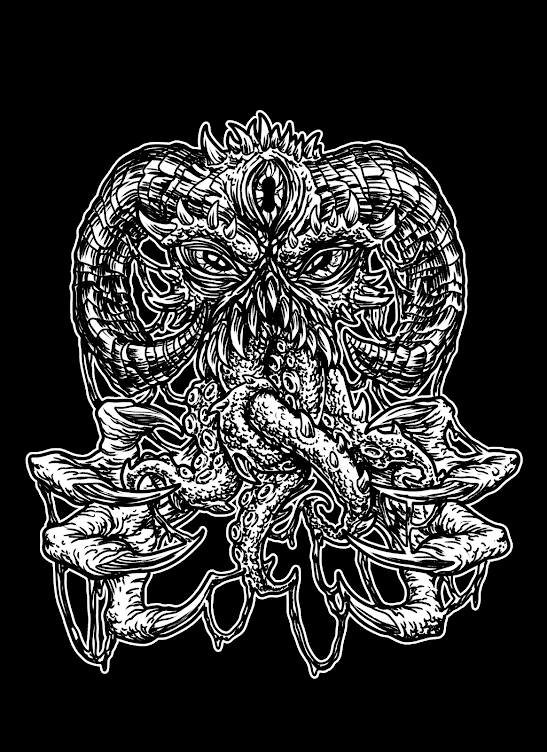 Tracks such as ‘Eukaryotic Hex Swarm’ and ‘Agliptian Codex Cyborgization’ are as wordy as they are heavy, bringing riffs and rage hammering down upon you like meteors from an unkind sky. If you’ve been needing a Necrophagist fix and have been jonesing for a similar kind of audio battery, then may I humbly suggest taking WORMED as needed for the pain, and then calling your local doctor in the morning to aid with any tinnitus-related ailments. ‘Krighsu’ is ten tracks of unrelenting tech-death, set at a warp speed that has no intention of ever slowing down. Space is infinite, and it seems WORMED’s ability to create jaw-breakingly heavy music is just as vast. To say this is one of 2016’s heaviest offerings so far is an understatement, and if anything can top it… to play THAT album would probably level your house. Stay safe. Look to the dark night sky, listen to WORMED, and dream of dark stars.